Tap member Judy Nunez (2nd from the left, middle row) first became involved with Wine To Water when Doc Hendley came to Florida State University to speak at a One Book One Campus event. Judy had never been thrilled about the event or the selected readings before, but Doc’s book Wine To Water was different. She immediately connected with the story and the mission it spoke of. Judy felt called to action. She was eager to get involved with her students, but rules of the university prohibited students from creating a club or leading initiatives themselves. Although she was disappointed, she eventually left Florida to become the Director of Recruitment at Texas A&M University. Despite being unable to get involved with W|W in her previous position, the water organization had stuck with her ever since Doc’s speech. Working at an environmentally focused university, she found every opportunity to talk about the mission and sustainable strategies of W|W. The class took place in the Fall of 2015 and consisted of 20 students, all required to read the book before the first day of class. Judy was ecstatic when she arrived on the first day and discovered that her students had already brought in the paperwork to start a W|W student organization. In 2017, Hurricane Harvey devastated much of Southeast Texas and other nearby coastal areas. Although Texas A&M students were not as directly affected by the tropical storm, their families and homes in the Houston area were suffering in the aftermath. Judy noticed how restless her students were - how badly they wanted to return to their families, who insisted their children remain in school for their own safety. It wasn’t long after Harvey that Judy received a call from Eric Huxley, former VP of Operations at W|W, informing her that W|W would be sending 200 Sawyer filters for disaster relief in Texas. Judy’s surprise was quickly outmatched by her determination, asking what she needed to do to make it happen. In need of buckets for the Sawyer filters, Judy emailed all of her students for assistance. Within five minutes, she had seven students from Houston standing outside her door. The determined group of students set out to purchase and collect donated buckets from various businesses. Before long, the filters had arrived and the group was trained in sustainable use and distribution procedures. Everyone present was from Houston, looking for some way to pitch in. Originally from Port Arthur, Texas, Judy made contacts to connect with while delivering filters in needed areas. Upon driving down her hometown street, Judy was struck by the damage she saw and the people she couldn’t help. Judy immediately called the Cajun Navy to get them involved with the filter distributions. The local chief and fire marshal also joined, helping the group deliver all 200 filters. 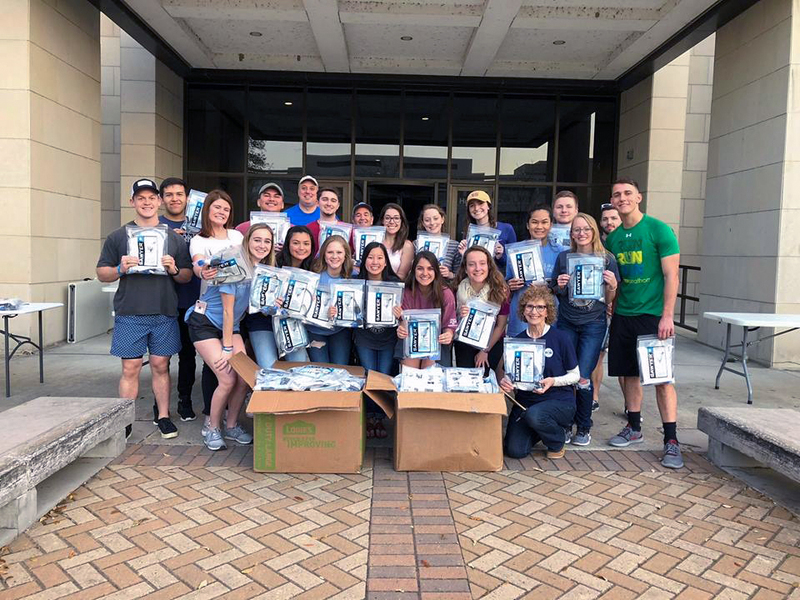 Not long after the filter distributions were complete, the students decided to raise money to host a filter build during the spring of 2018. 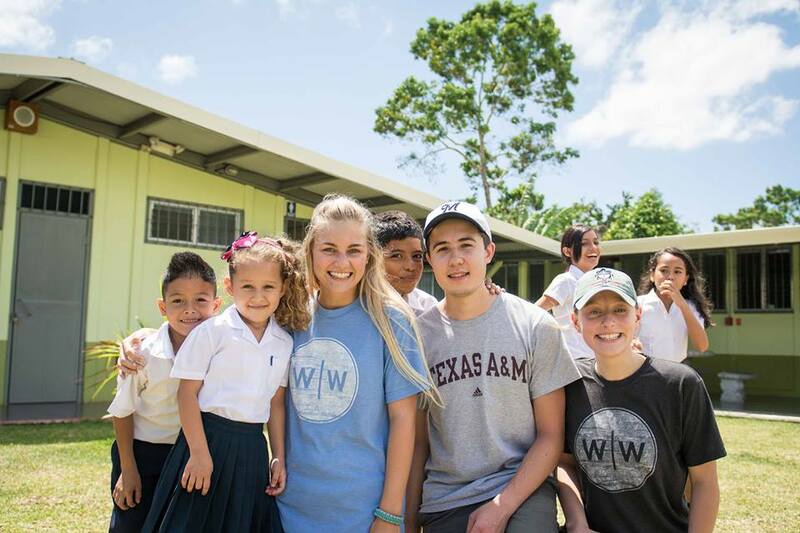 The entire community raised $10,000 and built 200 filters, returning the gift W|W had sent their way during the aftermath of Hurricane Harvey. It is now a goal of the student organization every year to host a filter build. “Regardless of your particular water situation,” says Judy, “this is a global water crisis. You realize it’s a depleting resource, but it’s the most precious and necessary for life. Even doing the work W|W does - wells, filters, building awareness - we are in an unsustainable situation. When you’re wanted to give money to an organization - look at what they really do and I guarantee if you look into what W|W does you will find nothing better. Don’t let this tap dry up. We can’t survive. W|W is grateful for supporters like Judy and other Tap members committed to fighting the world’s water crisis with the power of community. Water is just the beginning, and it all starts with you. By joining The Tap, you’ll be among the first updated with stories like Judy’s and directly contributing the impact of clean water all around the world. To partner with us monthly, click here.